Flav Strawberry Cough is a dominant Sativa bred from Strawberry Fields and Haze. Pleasant and sweet smells of licorice and lemon tickle the nose upon exhaling. 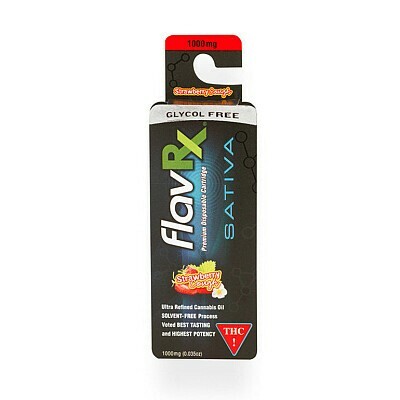 On inhale smooth flavors of sweet strawberry hit the tongue with undertones of fruity spice. Strawberry Cough is great for those looking for a nice head buzz without slowly down. Medicinal: Strawberry Cough is used for energetic and creative medical experiences.